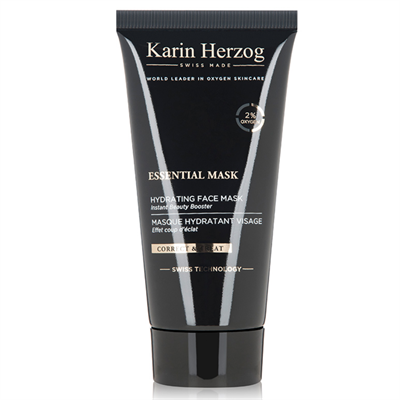 Patented anti-aging mask with 2% active oxygen, vitamin A and a blend of essential oils - the perfect treat before a big event or after air travel. ▪ Minimizes breakouts and helps to fight blemishes. ▪ Restores hydration levels of the skin. ▪ Provides a lifting and toning effect. ▪ Reduces visible signs of aging and hyperpigmentation. ▪ Leaves the skin refreshed, plumped and radiant.